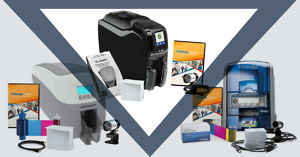 As your organization's printing needs expand, so does our ID card printers. 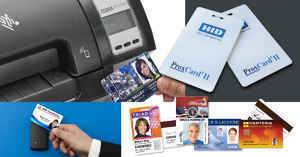 Fortunately, ID Security Online has a wide selection of ID card printers with upgradable features. Therefore, there is no need to purchase another printer when you can utilize the printing options on your current printer. We provide specific printer modules upgrade in functionality of your ID card printers. Many ID card printers have add-ons that can either be configured in-field, or installed by the manufacturer. The selection of modules can include dual-sided printing kits, Ethernet upgrades, lamination, and magnetic stripe or smart card encoding. Upon purchasing an ID card printing system, ID Security Online has considered the future goals for your ID card program and has anticipated any needs that might arise in the near future. 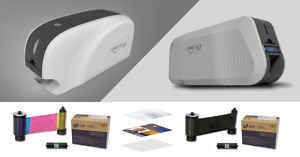 You may want to add a magnetic stripe encoding or possibly a proximity card for door access or time & attendance.You may also think about including lamination or duplex printing capabilities. If these are things you would like to implement at some point in the near future (or are curious about), we highly recommend that you choose a printer that can be easily upgraded. Several printer manufacturers have gone above and beyond in making that process as easy for you as possible. Upgrade modules are an ideal way to promote your organization�s ID card printer. Buying a more cost efficient printer when your organization is smaller is the more financially effective way to go as your organizations needs expand so can your printer�s upgrade options. ID Security Online has all the field upgradable options needs to upgrade your printer. We provide all options of encoders to output hoppers. We also stock all print- heads to match specific ID card printers. 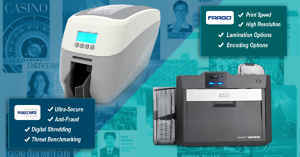 If your ID card printer is not printing high quality ID cards anymore, you may need to purchase a new printhead. When you want to consider a printing upgrade, you can simply drop in a special ribbon and the dual-sided capability is unlocked. An encoding upgrade function is restricted to most Fargo ID card printers. 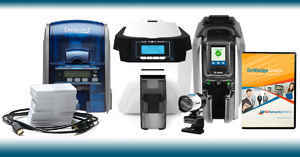 They are the only card printers on the market that are completely modular. When picking a lamination upgrade, you can purchase the lamination module which attaches to the side of the printer. No tools required for this process and configuring the system is automatic. The term �field upgrade� does not always mean you can upgrade your printer. In some situations assistance is required to help you with that process. You can contact an ID specialist from ID Securities Online for further assistance. 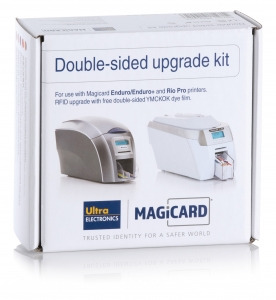 Moreover, If you�re purchasing an entry-level card printer with the intention to expand your card printing application, most entry card printers don�t provide an upgrade path.Your options to upgrade are very limited with an entry level card printer. That is why you should evaluate your organization's or company's future printing needs when selecting an ID card printer. Call us at 1-(800)-897-7024 or email us at [email protected]online.com.